In this blog post, I am going to tell you about the Amazon(AWS) suspension. 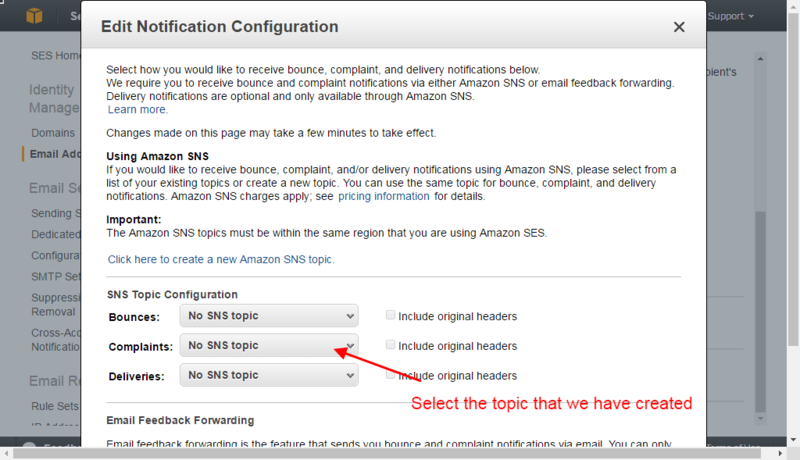 How to minimize the chances of AWS SES account suspension…? Amazon SES is very good and legit service for sending the emails. 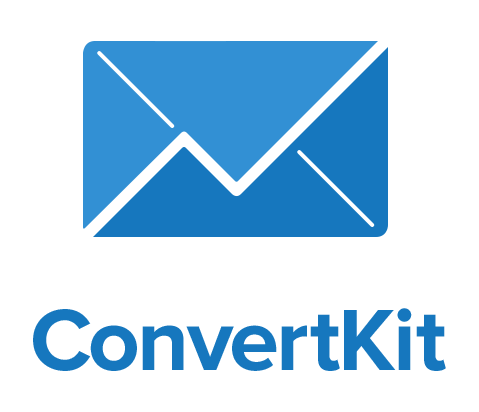 If you are a business owner who sends the authentic emails to their own subscriber list then AWS SES is the best option for sending your emails. Is it enough to have an authentic subscriber list for sending the emails using AWS SES successfully? No, this is not actually sufficient to avoid or minimize the AWS account suspension just by having an authentic subscriber list. So how actually can minimize it….? As Amazon SES allows only 5% spam and bounces emails, so it is very necessary to configure the spam and bounce notification. How can we achieve this…? 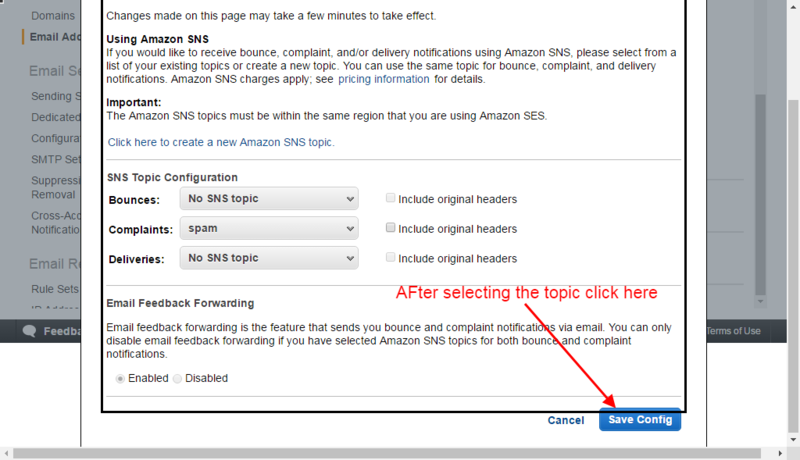 Amazon provides a service of SNS(simple notification service) which allows you to configure the notification for spam and bounce emails. If you configure this properly with your email client then you will receive the notification for spam and bounce. So every time when you send a new email campaign these emails will not be entertained. your spam and bounce rate will always be less than 5% and your account will be safe. What if we do not configure this…..? Suppose you send your first email campaign and get a bounce rate of 3%. As you did not configure the SNS service so these emails will not be notified and restricted to be sent in your next email campaign. You send your second email campaign and you get a bounce rate of 6% and gets your AWS account suspended. If you would have configured the SNS service then you could stop this suspension as you would again get a bounce rate of 3%. 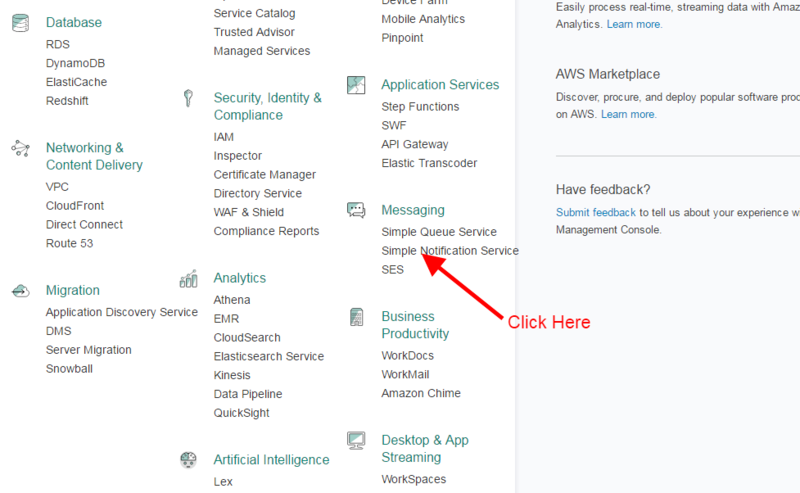 How to set up the AWS SNS service with my Email client….? It is a very easy process. Just follow the below step by step procedure for the same. I am explaining the configuration for spam emails, the same procedure is applicable for bounce emails. 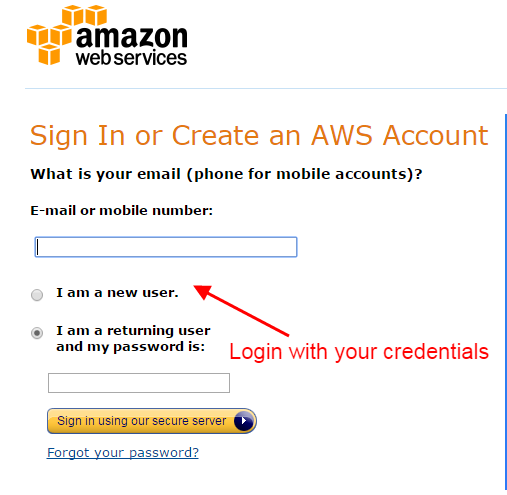 Login to your AWS account…. Click the option shown in the below image. Now, you have to create the topic for spam, see the below image. Here you have to mention the name for the topic. you can keep any name but we suggest to keep the relevant name as we kept here for spam. See the below image. Click on ‘subscribe to topic’ as shown in the below image. Now, you have to enter the HTTP/HTTPS endpoint which you will get from your email client for configuration the spam and bounce with your email client. If you don’t find it in your account ask the support team of your ESP. Check the checkbox and click on request confirmation. Now, again click the subscription and check the checkbox and click on refresh button as shown in the below image. Your topic has been created successfully, now you to enable it for getting the notification. Go to your service console and click on SES. If you have not verified your email address then verify it first. 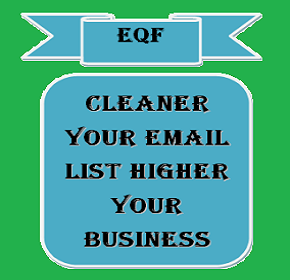 Select the topic for spam in complaints drop-down which you have created in earlier step. Your spam HTTP/HTTPS point is set. Now you are done with SNS setting for spam. the same procedure is applicable for bounce setup except for the last two steps. For bounce setup, we need to select the bounce topic from the bouncing drop down. What if after doing all this I got the AWS account suspension…? Don’t worry! Just contact the AWS support team and ask for the reason of the suspension and sort this problem and reactivate account ASAP. You can also visit the below extensive link. How to reactivate the AWS account…. In the case of any queries you can write us at anurag@a5theory.com we will get back to you ASAP. Hope! you would have enjoyed this blog post. Please keep reading our blog for more updates.